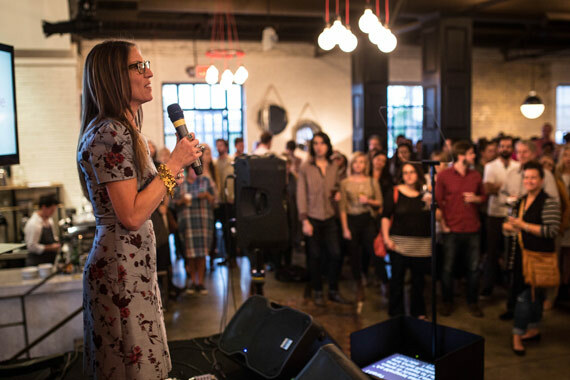 YouTube‘s Director of Music Content Partnerships, Vivien Lewit, announced last night (Oct. 28) at a kickoff at Nashville’s Pinewood Social that the digital video service will partner with the Country Music Association (CMA) for a series of educational opportunities in 2015. Events will also be offered for non-CMA members, pushing the San Bruno, Cali. streaming service’s presence among the broader Nashville’s music community. The purpose of the Pinewood Social kickoff was to celebrate YouTube’s commitment to hosting pop-up workshops, multi-day conferences and to providing access to state-of-the-art equipment at least once a quarter in Nashville. The Nashville series of events will emanate from those already taking place in the YouTube Spaces, permanent production facilities in Los Angeles, London, Tokyo and most recently New York City, where workshops and opportunities have contributed to even the creation of Hunter Hayes‘ “Everybody’s Got Somebody But Me” music video. Google representatives in attendance spanned from Google Play, Songza and Google Social (Google Plus).